The Metro Vancouver Board has approved a new Drinking Water Management Plan that ensures residents will continue to have access to safe and affordable drinking water and that the region’s drinking water resources and infrastructure are managed sustainably. Since 2010, a new state-of-the-art Seymour-Capilano Filtration Plant has been treating much of Metro Vancouver’s water. Treatment of the Coquitlam source is currently also being upgraded by adding ultraviolet disinfection to the existing ozone treatment system. This new plan ensures the region’s water needs will be met affordably and sustainably, even as the population continues to grow. It provides the means by which municipalities can achieve water conservation and other sustainability objectives, and encourages the use of water pricing strategies, for example, as well as partnerships with the industrial, commercial, institutional and agricultural sectors, and public education initiatives. 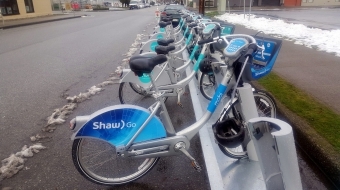 The plan was developed in a joint effort between Metro Vancouver and member municipalities and included consultation with external agencies and the public. Metro Vancouver owns and operates the regional water supply, treatment and distribution system and supplies water to the region’s municipalities who in turn distribute the water to residents and businesses. Three protected mountain watersheds, Capilano, Seymour, and Coquitlam are the sources of water supply for Metro Vancouver.